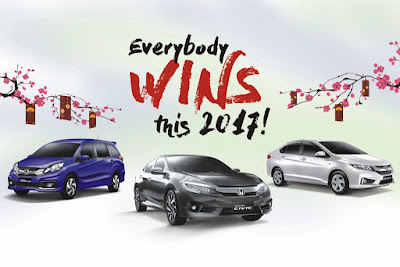 Honda Cars Philippines, Inc. welcomes the new year with Everybody Wins this 2017 Campaign for customers who will inquire, test drive, reserve and purchase a brand new Honda vehicle from now to January 31, 2017. In line with the upcoming Chinese New Year, HCPI extends its celebration by giving away a chance for everybody to win this 2017. This also serves as HCPI’s gratitude for all the support of its customers in reaching record breaking sales in 2016, and achieving its highest ever monthly sales in history with 2,805 vehicles sold in December 2016. Qualified customers will be entitled to a discount coupon worth up to P 100,000 on top of all ongoing dealer promotions. 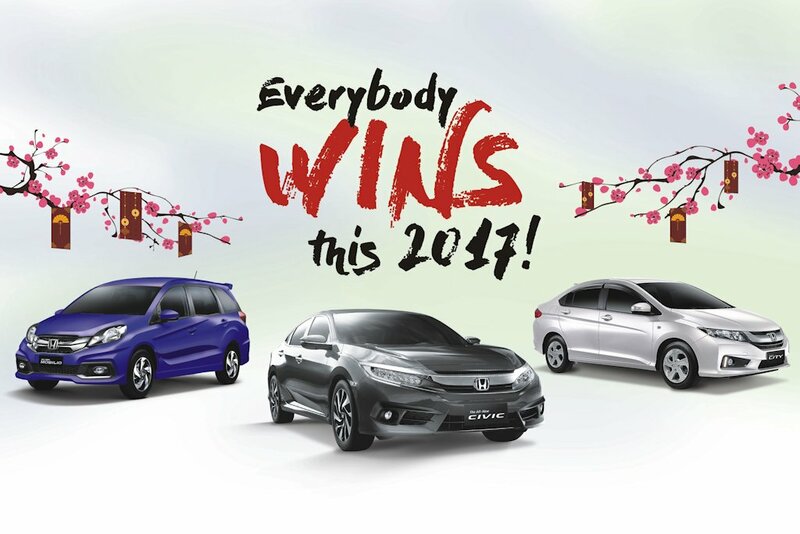 To win this 2017, customers will pick a red envelope from the Tree of Fortune located at the showroom of their preferred Honda dealership. Each red envelope consists of a corresponding discount coupon worth up to P 100,000. Customers will only be entitled to one (1) coupon, which can only be redeemed until the end of the month.